The Hokey Pokey sonnet, by Shakespeare? Blessed dirvish! Surely canst go, girl. This delightful piece has been reproduced many times on the Internet, although I have not been able to locate either the author or the original entry in the Washington Post. 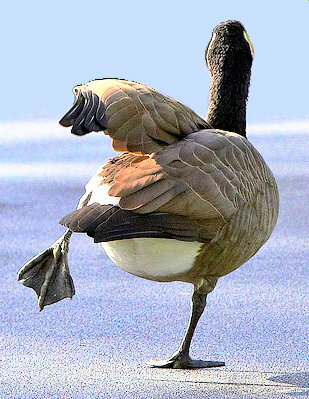 A version that includes the above picture of a dancing goose can be found here.